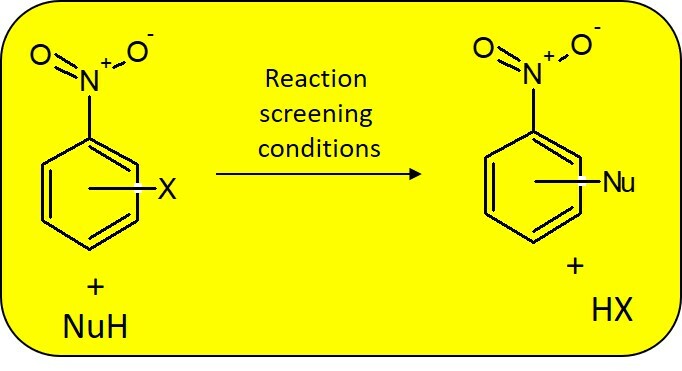 In this application, the conversion of α-terpinene to ascaridole was used to indirectly detect the formation of singlet oxygen in continuous flow. 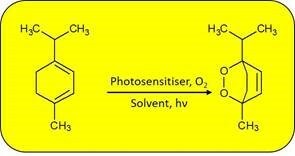 The production of singlet oxygen in continuous flow was optimised using the two methods, and the heterogeneous photocatalyst stability was investigated. Once optimised, the singlet oxygen was used for the aerobic oxidation of boronic acids to phenols, and to degrade two environmental pollutants: bis-phenol A and cimetidine. 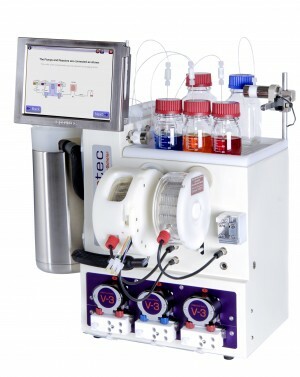 Equipping a Vapourtec R-Series with a liquid handler creates a powerful, automated synthesis platform that has been used to carry out reaction screening of nucleophilic aromatic substitution partners, including volatile amines. As part of our ongoing series of application notes on pumping slurries of reagents we have turned our attention to sodium hydride, one of the most versatile heterogeneous strong bases. 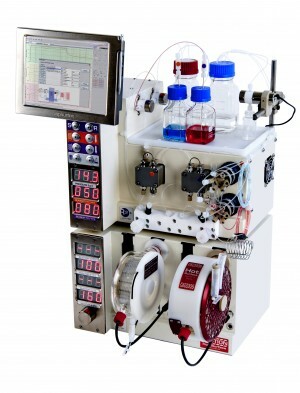 In this application, Dr Claudio Battilocchio of the Ley group, University of Cambridge, has used Vapourtec’s 20 ml Rapid Mixing Reactors to perform an amide synthesis under biphasic flow reaction conditions.